Adventures in LalaLand: January Polish Days: Something New! 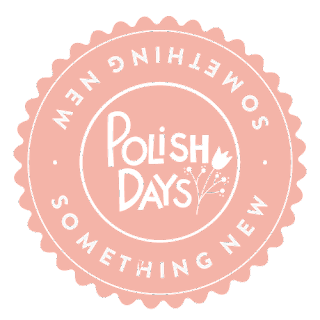 January Polish Days: Something New! Trying to think of "something new" to do mani-wise was a little tough. In the past year or so I've tried out so many new designs and techniques that I wasn't sure what was left! Luckily I had a few bookmarked ideas to look through! I stumbled across an interlocking dots tutorial by Nail Polish Wars that made the technique a little less intimidating. I was watching the BCS National Championship game while I was doing this, so I decided to rep the Crimson and White while cheering on the Tide! I think this turned out really well for a first attempt! It definitely won't be my last. 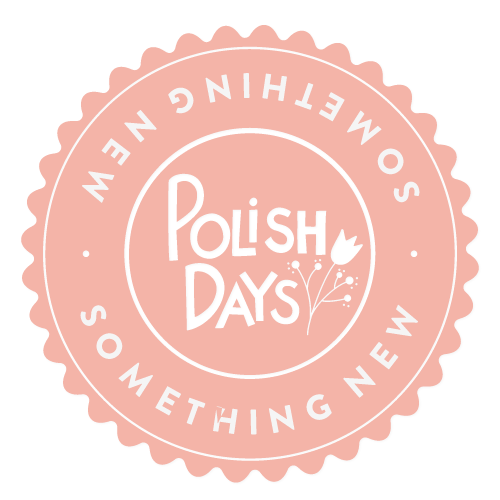 Check out the link below to see the other Polish Days posts!! It looks so cool! I love it! I love this, and I love the fact that you included a picture by picture tutorial for everyone else to learn! Awww...so cute!!! Love the colors used and the design. It looks so classy and perfect for everyday wear. Love it! Don't you hate it when topcoat smears your polish? When you're rushing and it happens you growl at yourself, and when you think you've waited long enough and it *still* happens you growl at the polish! ^_^ This is a technique I haven't gotten around to yet, either, even though I *love* dotticures...so maybe you'll be the push to make me use this on my next mani. :) I think you did a great job, and I look forward to seeing more of your work in the future. My First Christmas in Texas - Photos!